Web CODI (Construction and Dimensioning) has been specifically built and designed to support the processes of construction and dimensioning also in the web. Dimensioning: With a minimum amount of clicks, a house can be given its dimensions, or newly planned service line connections can be constructed based on e.g. field measurements. 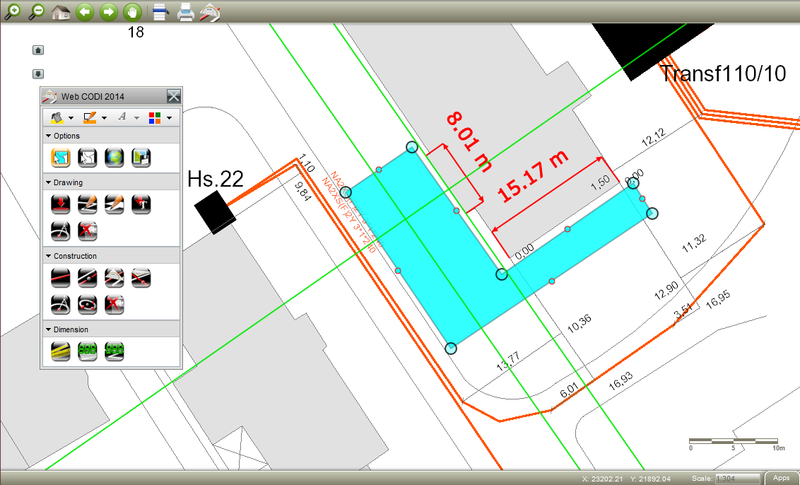 Construction of points through CAD-like tools: A variety of tools are available for construction of new points, e.g. line parallel with a distance, construction by arc intersection etc. The newly constructed points can then be used for redlining. Redlining Functionality: Users can enjoy the simple drawing functionality of point, line, polygon and annotations. Objects with pre-defined attribute values may be organized in a gallery. The data can be stored directly in the central geodatabase. 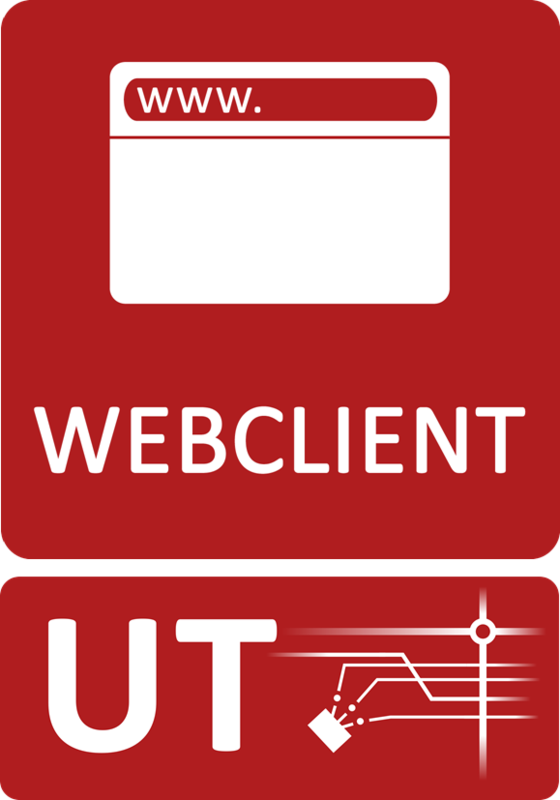 All data can be stored locally or in a central geodatabase and they may be used for further processing in the UT Editor, in the UT Asset Manager or in your UT Server Webclients, e.g. for further planning.